A group at IBM research took data of 73 million relationships between 450,000 people to create a visual analytic tool they created, which supports expertise location, team building, team coordination, and workplace relationships. Naturally this is as much (or more) a programming job as it is a design job, but don’t underestimate the design challenge in making the graphics for avisualization of 73 million relationships useful. 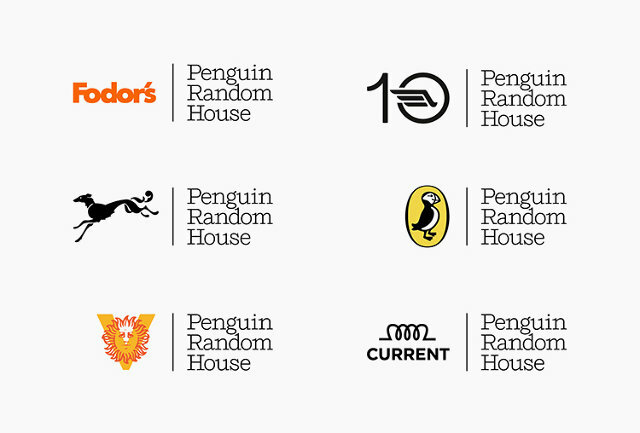 Today, our apps are basically self-contained castles. Walled off from every other app, you have to open Google Maps to find restaurants in your area, then you have to open up Yelp to search its reviews, and then you have to load Safari to search what Kow Soy is because everybody on Yelp says you just have to order it. Want to meet the world’s best designers and design-minded business leaders? Attend the 2014Innovation By Design Conference October 15 in New York. More information here. But this method is inefficient. In response, Apple debuted a new feature that will appear in their newiPhone/iPad software, iOS 8. They’re called Extensions. And what they do is allow you to use apps within apps, without having to multitask your way back and forth. This might sound like a small detail–another feature that won’t really change anything. I disagree. I believe that because Apple is so influential in the app space–developers tend to make apps for iOS first and Android second–Extensions will shape the way we use our phones and developers create our apps into the future. Namely, most of us will begin using just a few apps on our phones. Alpha Apps, if you will. 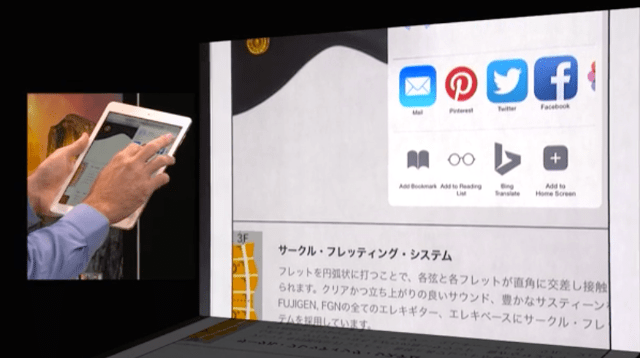 And these apps will be designed to contain other apps. Meanwhile, the Internet of Apps–an idea where we surf from app to app as lazily as browsing the web–will never come to be. An extension can allow you to pin a recipe to your Pinterest page from an unrelated cooking app. An extension can allow Bing to translate a Russian menu from inside Safari. Or an extension can even enable you to use a third-party photo editing tool within Apple’s Camera app. Extensions are kind of like ordering delivery rather than going to a restaurant. You don’t have to move. What you’re looking for comes to you. Extensions appear in a menu, using their respective app icons. This is different than how a lot of Apple’s Silicon Valley peers have approached the problem of hopping around apps. Before yesterday, when Apple introduced extensions at WWDC, all of the approaches were basically doing the same thing. They were linking our apps to one another, just like hyperlinks connect pages of the web. You’d constantly leave an app to go to another app. 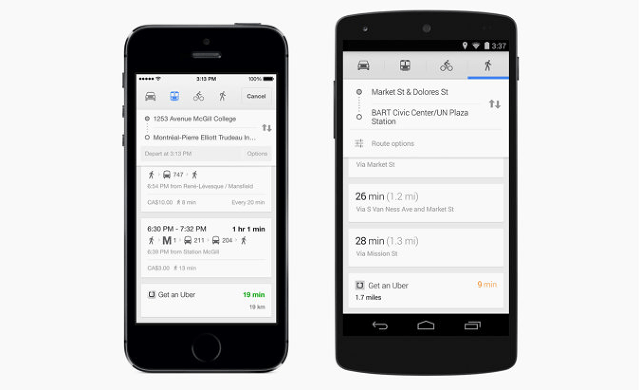 Google handles app-to-app linking: “Get an uber” shoots you right to the uber app. WITH EXTENSIONS, TINY UTILITY APPS MAY BECOME MERE ACCESSORIES TO THE POWER PLAYERS. But realize, Google and Facebook have both been charging forward with the Internet of Apps in mind, building the infrastructure and design cues to make it more feasible, enabling users to hop around apps easily. Smelling money in the air, Google has even started indexing app-to-app links for their search technologies, so they could crawl and categorize these app links just like they crawl web links. Given more time, it’s quite possible that Google, Facebook, and Apple, working toward a common cause, could have made app linking work as well as hyperlinking works on the web. Maybe they could have developed a way to use apps without formally downloading them, for instance, preloading them in the background of your operating system in a way that didn’t clutter your phone, waste your time, or put you at a security risk. But now that Apple’s Extensions exist, they’ll divert the industry from solving the fundamental UX problems that would be needed to create a true Internet of Apps. Apple has more or less decreed that the way users will juggle multiple apps won’t be app linking. Instead, their tacit thesis seems to be that a few core apps–Alpha Apps–will be the gatekeepers to do everything on your phone, while every other app plays a small supporting role. In other words, every silly photo filtering app may be swallowed alive by an Instagram, which could become the center of all photo apps. 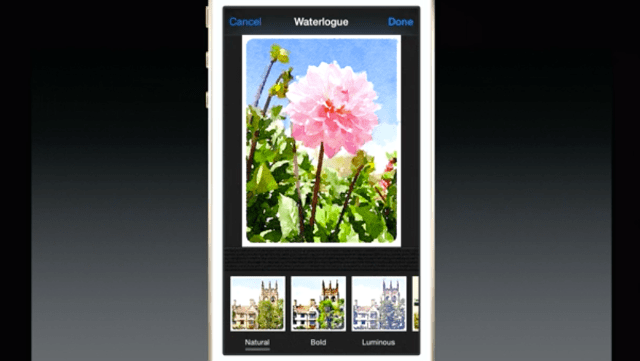 Here, third-party photo editing software runs within Apple’s photo app. In the Extensions scenario, the tiny utility apps we’ve known for so long may become mere accessories to the power players, never actually opened by anyone, but used by some of the most popular apps in the world with frequency. They’ll become what the tech world has called “plug-ins,” or even, yes, “extensions”–the Photoshop filters and the Chrome ad blockers of the app world. One could imagine that these apps wouldn’t even have a purpose on your homescreen–they could live only within the extensions sub menu itself. Because Apple has so much power in the world of apps–due to the fact that their iOS platform is generally more profitable for developers than Android, so developers tend to build for iOS first and Android second–it seems most likely that developers will start designing their apps around Extensions rather than app links. How the economics will work out for developers whose apps are used through other apps is still a bit unclear. But as a result, Google’s Android platform will likely follow Apple’s iOS Extensions lead, building out a similar app-wrapping-around-an-app interface. And that whole Internet of Apps thing? It will never gain enough momentum to happen. Instead, we’ll enter the era of Alpha Apps, and they’ll roll themselves around everything else. The series is a collaboration between News UK, ad agency Grey London, production company Betsy Works, exec producer Peter Maynard and creative and commercials director, Phil Lind in order to celebrate “the historical and cultural impact of The Times and The Sunday Times …. and explore the values, beliefs and behaviours of past and present editors, journalists and readers”. The first four films of the series are housed in a website, Forever Unquiet, developed by GreyPOSSIBLE and How Splendid. DBLG designed the identity. Ex-ITV Creative ECD and 4Creative head Phil Lind was creative director on the project with Peter Maynard (once of 4Creative and Fallon) as executive producer. The films, Lind explains, arose from 10 themes identified by the editors of the papers as those that they hold most dear. As Lind says, it was a case of “If we had to say something about ourselves, this would be it”. Those themes were then translated into ten films which will be released in stages through the Forever Unquiet site.